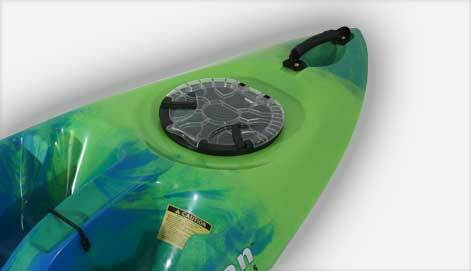 The 10'3" kayak has a 275 lb. 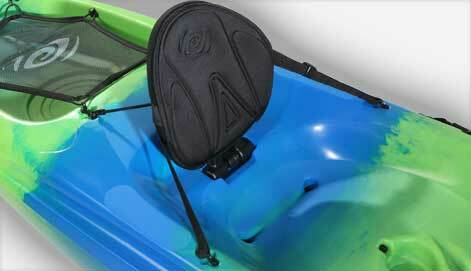 weight capacity and comes in blue/green. 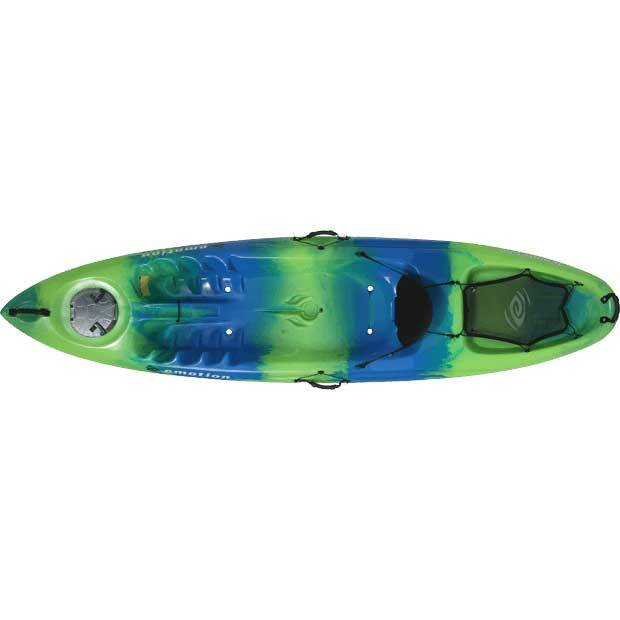 This model is a "sit-on-top" (SOT) kayak and comes with a CRS padded backrest, self-bailing scupper holes, rear tankwell with cargo net cover, 2 paddle keepers, luggage handles on the bow, stern and both sides, an 8" locking hatch, and molded-in footwells. Roto-molded with a 5-year limited warranty on hull. A: The warranty is five years. Feel free to contact us with any other questions. Dimensions: 123" x 30" x 13"